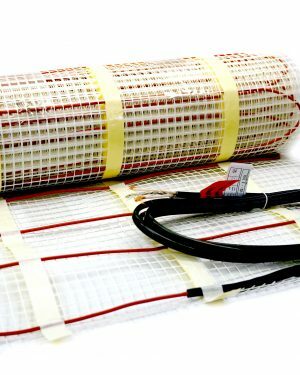 Heatwave mats and cables are available in a variety of lengths and in 120V and 240V configurations. These systems are designed to cover specific square footages and can be easily installed by DIYers and professionals alike. 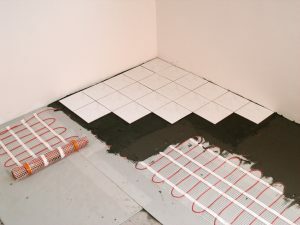 Heatwave mats are rolled out and attached to the subfloor before being covered by thinset or a self leveling material. 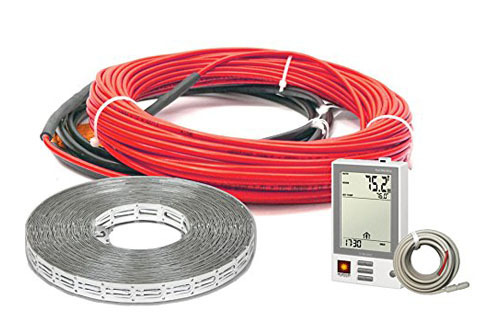 Free flowing Heatwave Cables provide a flexible option and are anchored to the floor and similarly covered in thinset or a self leveling material. Available from our accessories page, or included in our kit options, the M429 programmable thermostat utilizes a floor temperature sensor to allow for direct monitoring of the floor temperature. 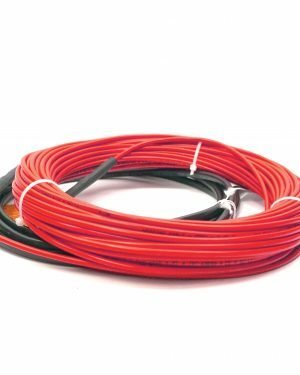 For assistance in choosing the right mat or cable, please use this Square Footage Calculator (new window). Don’t forget to deduct square footage occupied by toilets, tubs, counters, and other fixtures. 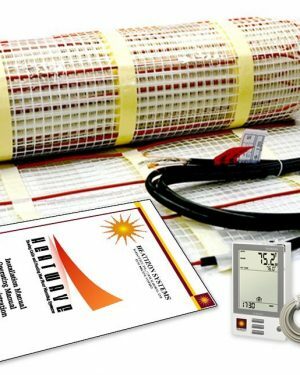 With over 20 years in the industry, the Radiant Shop team are floor heating experts. Please contact us if you need any assistance selecting or installing these products.